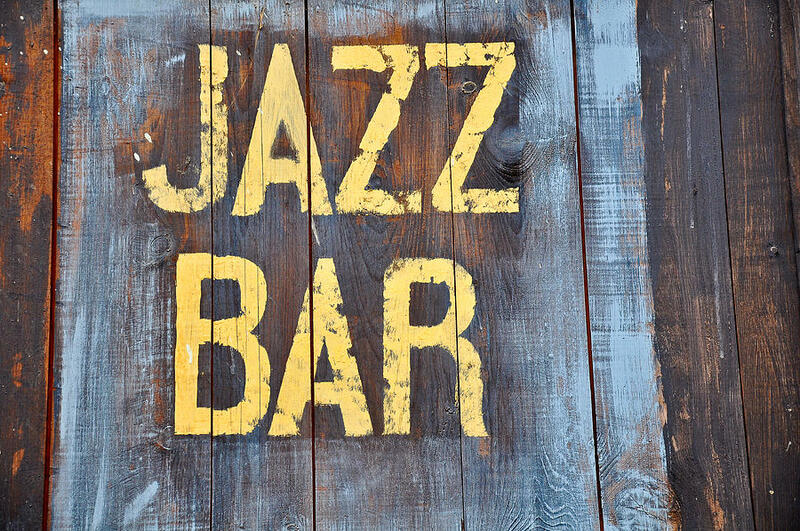 Unwind at Jazz Bar: Located in the main Floor, lobby with a beautiful setting overlooking the pool, where you can relax and enjoy a selection of Tea, coffee and juices. Le Safran Restaurant offer the finest Moroccan recipes specially prepared by our Chef complimented by a Moroccan Mint Tea. 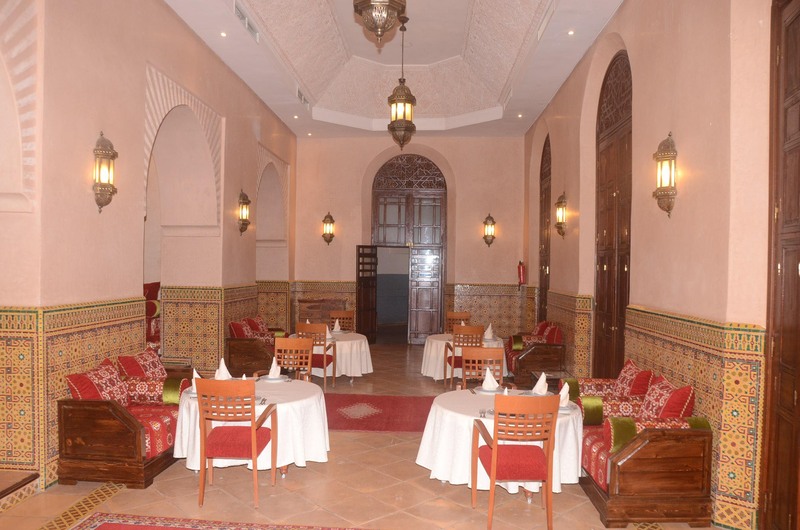 Enjoy a true Moroccan dining experience while relaxing into one of the most beautiful ambient atmosphere. Discover our wide variety of dishes, including the much-beloved Moroccan food with special choices evolving with the seasons. The Mediteranée restaurant boasts an outdoor seating area with a great opportunity to take in the fresh vibrant air and view in the natural surroundings of the Pool. Breakfast Buffet available for 120DH per person. Lunch buffet is available for 220DH per person. Dinner buffet available for 250DH per person. 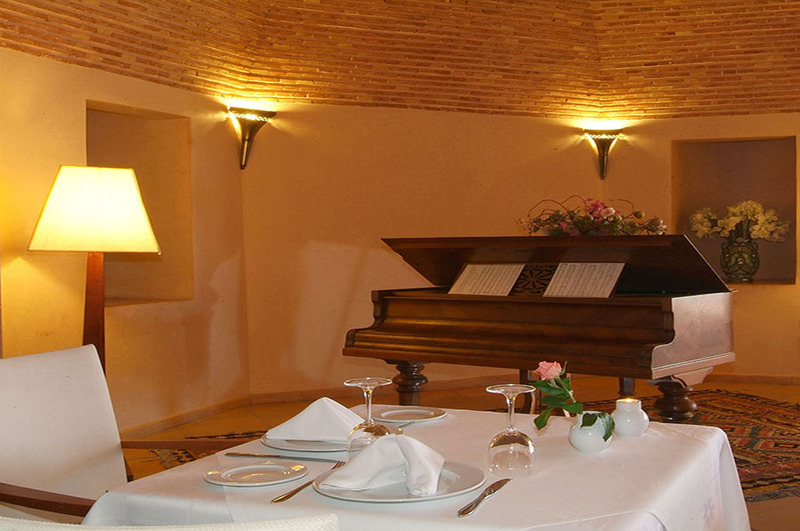 Our Pizzeria ‘à la carte’ with two terraces, one overlooking the sea and the other built on the pool. 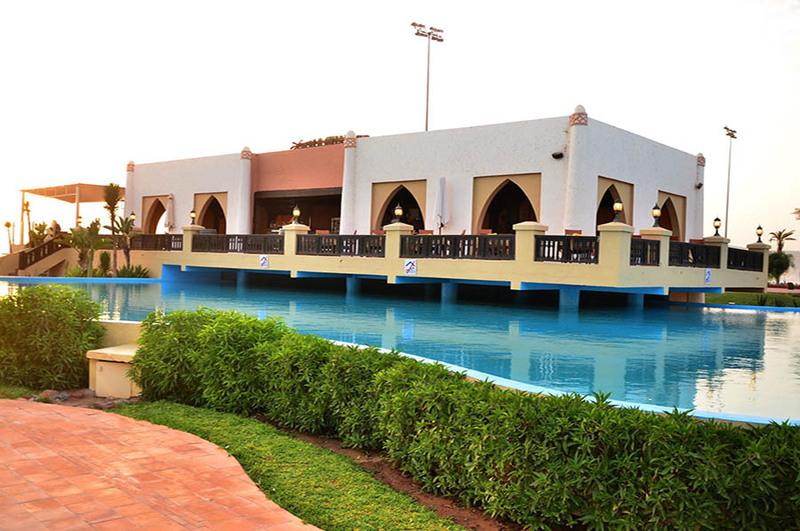 A place of relaxation assured to enjoy grills and specialties of the sea.